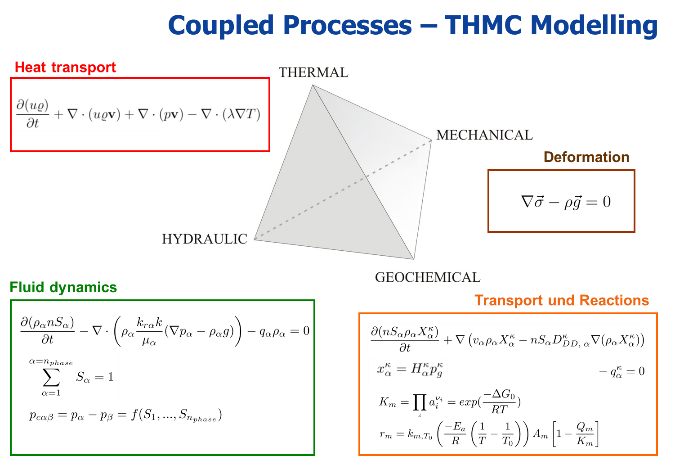 Geohydromodelling is the development and application of numerical simulation codes for a characterization of the natural or man-made induced hydraulic, mechanical, thermal and geochemical processes (THMC-processes). Aim is the quanti-fication of the governing processes and their interactions to enhance the process understanding and the prognosis of the induced effects due to subsurface use. Fig. 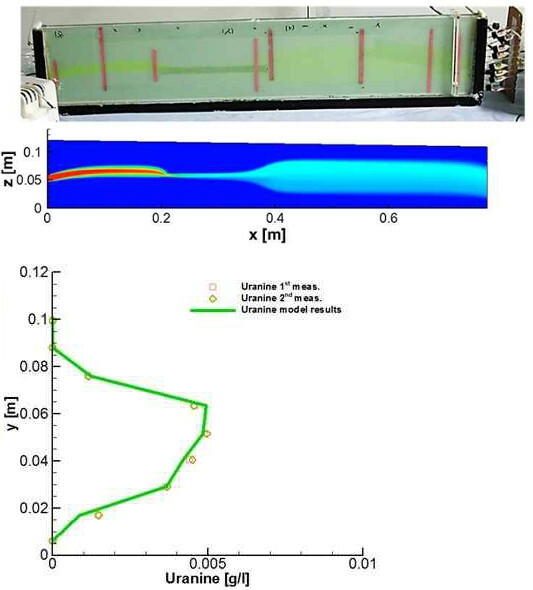 3: Numerical model of the convection flow in the subsurface induced by the chemical reaction of injected CO2 with brine and parent rock. 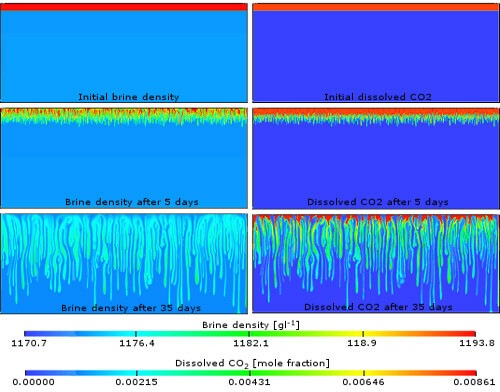 After 1000 years of equilibrium reaction, the brine density increases by 23 gl-1 due to salinity alterations. The model space measures 87.5 m by 35.0 m. The top 10.0 m of the model space are discretized with 0.05 m by 0.05 m, the lower 25.0 m with 0.05 m by 0.10 m (Figure: A.B. Mitiku and S. Bauer).